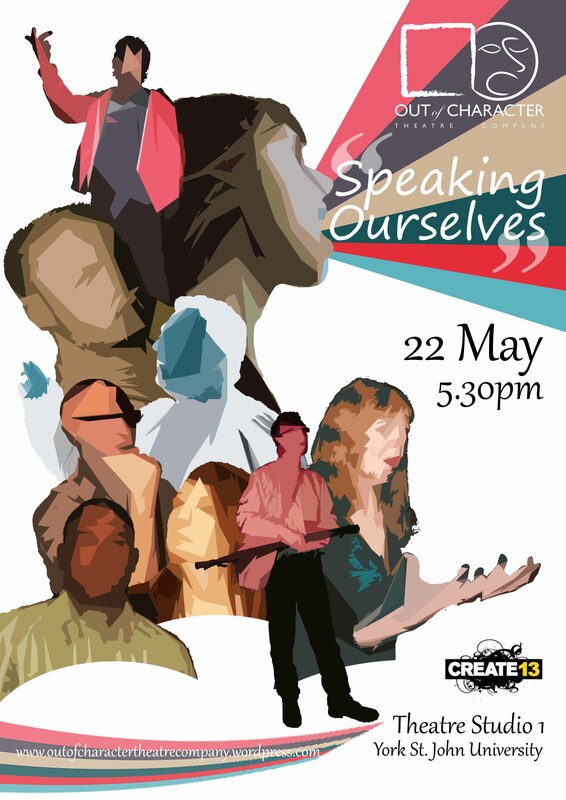 Speaking Ourselves is Out of Character’s second mental health themed show. This performance has gone through various permutations and developments since work began on it in 2011 with founding director Gemma Alldred. It’s progression to a final show has been the least linear due to alternate projects arising (including Henry IV with York Theatre Royal) and changes within the company, most notably Gemma leaving to pastures new and Gina Vickers arriving to take on the director mantle.By the time of Create 13 at York St. John University, the company had a more finalised performance, although audiences may have been aware that some of the material had been performed in various guises and progressions previously.